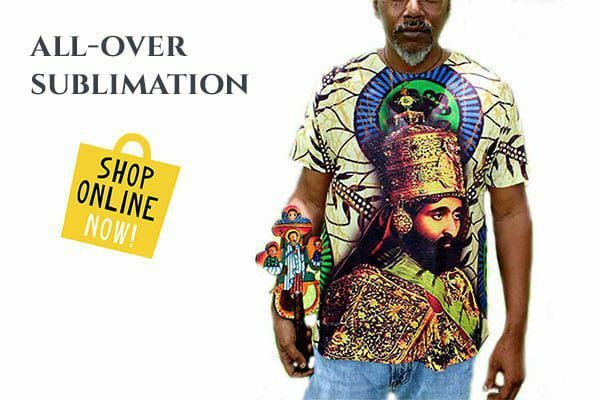 In the Ethiopian Orthodox Tewahido Faith, Ethiopian Monks/Priests teach us of the four “hidden” places of the earth located in the poles of the North, South, East and West. We are taught as far East as you can go on the earth, is the gateway to Paradise/Eden. As far West as you can go, is the mouth of Gehenna/Hell. As far South as you can go is the land of the Blessed Men, residing the holy ones, the first born of the Priests of Israel, living to 1000 years. As far North as you can go is the land of the living men, where Enoch and Elijah and other holy ones dwell who were transcended and never faced the sting of death. We’re taught, when you reach this “hidden” place to the North, the clouds are so thick not even birds can fly through. 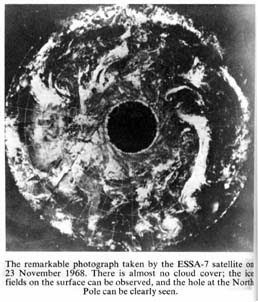 We share with you, the Hollow Earth cover-up as testified by Admiral Byrd below. We give the facts and list the discoveries so that you can decide for yourself. By: Dr. R. W. Bernard, B.A., M.A., Ph.D. The above two statements by the greatest explorer in modern times, Rear Admiral Richard E. Byrd of the United States Navy, cannot be understood nor make any sense according to old geographical theories that the earth is a solid sphere with a fiery core, on which both North and South Poles are fixed points. If such was the case, and if Admiral Byrd flew for 1,700 and 2,300 miles respectively across North and South Poles, to the icy and snowbound lands that lie on the other side, whose geography is fairly well known, it would be incomprehensible for him to make such a statement, referring to this territory on the other side of the Poles as “the great unknown”. Also, he would have no reason to use such a term as “Land of Everlasting Mystery”. Byrd was not a poet, and what he described was what he observed from his airplane. During his Arctic flight of 1,700 miles beyond the North Pole he reported by radio that he saw below him, not ice and snow, but land areas consisting of mountains, forests, green vegetation, lakes and rivers, and in the underbrush saw a strange animal resembling the mammoth found frozen in Arctic ice. Evidently he had entered a warmer region than the icebound Territory that extends from the Pole to Siberia. If Byrd had this region in mind he would have no reason to call it the “Great Unknown”, since it could be reached by flying across the Pole to the other side of the Arctic region. The only way that we can understand Byrd’s enigmatical statements is if we discard the traditional conception of the formation of the earth and entertain an entirely new one, according to which its Arctic and Antarctic extremities are not convex but concave, and that Byrd entered into the polar concavities when he went beyond the Poles. 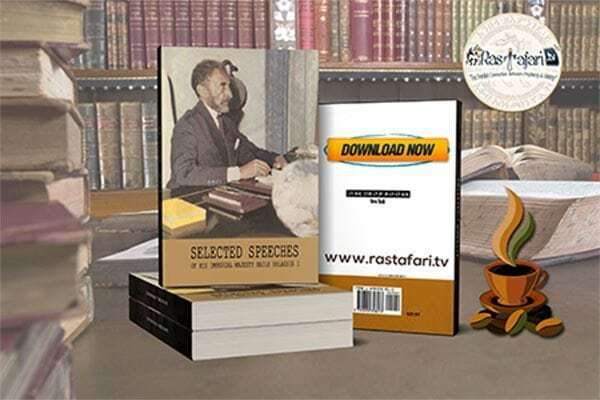 In other words, he did not travel across the Poles to the other side, but entered into the polar concavity or depression, which, as we shall see later in this book, opens to the hollow interior of the earth, the home of plant, animal and human life, enjoying a tropical climate. This is the “Great Unknown” to which Byrd had reference when he made this statement – and not the ice – and snow-bound area on the other side of the North Pole, extending to the upper reaches of Siberia. The new geographical theory presented in this book, for the first time, makes Byrd’s strange, enigmatical statements comprehensible and shows that the great explorer was not a dreamer, as may appear to one who holds on to old geographical theories. Byrd had entered an entirely new territory, which was “unknown” because it was not on any map, and it was not on any map because all maps have been made on basis of the belief that the earth is spherical and solid. Since nearly all lands on this solid sphere have been explored and recorded by polar explorers, there could not be room on such maps for the territory that Admiral Byrd discovered, and which he called the “Great Unknown” – unknown because not on any map. It was an area of land as large as North America. This mystery can only be solved if we accept the basic conception of the earth’s formation presented in this book and supported by the observations of Arctic explorers which will be cited here. 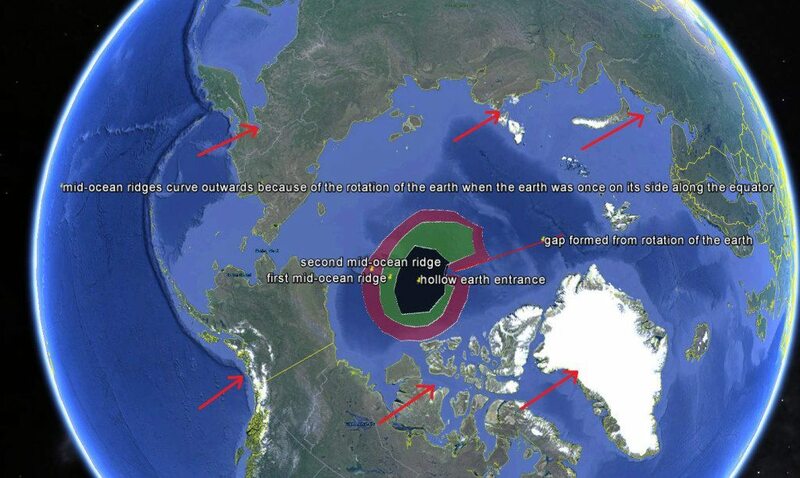 According to this new revolutionary conception, the earth is not a solid sphere, but is hollow, with openings at the Poles, and Admiral Byrd entered these openings for a distance of some 4,000 miles during his 1947 and 1956 Arctic and Antarctic expeditions. The “Great Unknown” to which Byrd referred was the iceless land area inside the polar concavities, opening to the hollow interior of the earth. 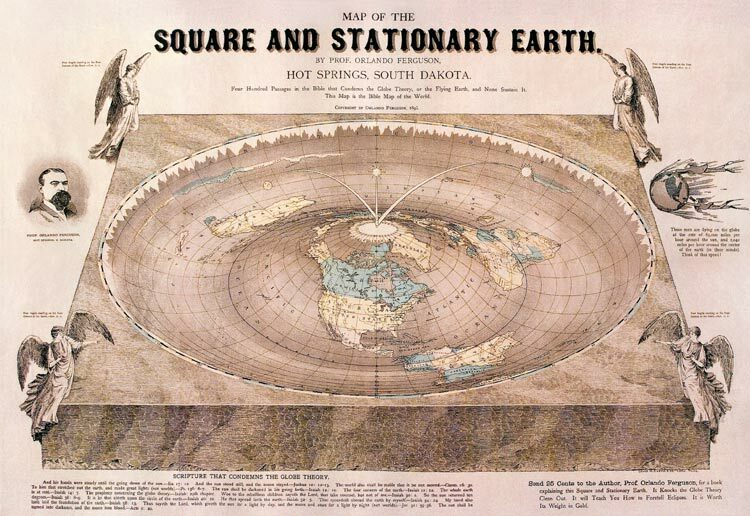 If this conception is correct, as we shall attempt to prove, then both North and South Poles cannot exist, since they would be in midair, in the center of the polar openings, and would not be on the earth’s surface. This view was first presented by an American writer, William Reed, in a book, “Phantom of the Poles”, published in 1906 soon after Admiral Peary claimed to have discovered the North Pole and denying that he really did. In 1920 another book was published, written by Marshall Gardner, called “A Journey to the Earth’s Interior or Have the Poles Really Been Discovered?”, making the same claim. Strangely, Gardner had no knowledge of Reed’s book and came to his conclusions independently. 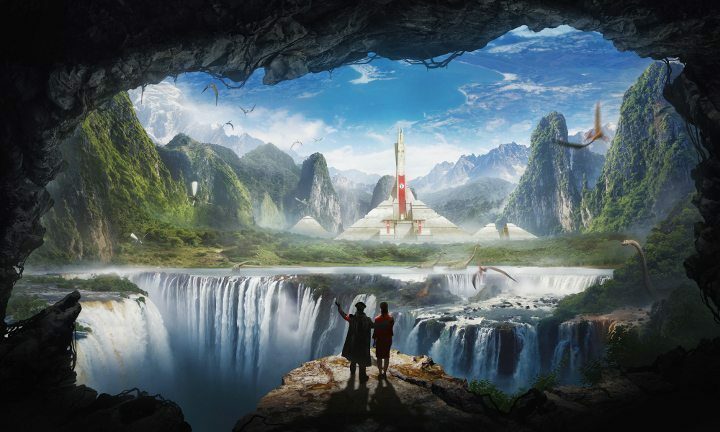 Both Reed and Gardner claimed that the earth was hollow, with openings at the poles and that in its interior lives a vast population of millions of inhabitants, composing an advanced civilization. This is probably the “Great Unknown” to which Admiral Byrd referred. To repeat, Byrd could not have had any part of the Earth’s known surface in mind when he spoke of the “Great Unknown”, but rather a new, hitherto unknown land area, free from ice and snow, with green vegetation, forests and animal life, that exists nowhere on the Earth’s surface but inside the polar depression, receiving its heat from its hollow interior, which has a higher temperature than the surface, with which it communicates. Only on the basis of this conception can we understand Admiral Byrd’s statements. The word “beyond” is very significant and will be puzzling to those who believe in the old conception of a solid earth. It would then mean the region on the other side of the Antarctic continent and the ocean beyond, and would not be “a vast new territory” (not on any map), nor would his expedition that found this territory be “the most important expedition in the history of the world”. The geography of Antarctica is fairly well known, and Admiral Byrd has not added anything significant to our knowledge of the Antarctic continent. If this is the case, then why should he make such apparently wild and unsupported statements – especially in view of his high standing as a rear admiral of the U.S. Navy and his reputation as a great explorer? 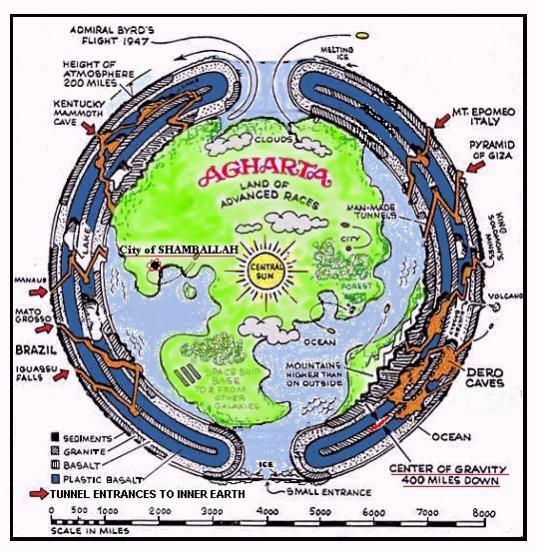 This enigma is solved when we understand the new geographical theory of a Hollow Earth, which is the only way we can see sense in Admiral Byrd’s statements and not consider him as a visionary who saw mirages in the polar regions or at least imagined he did. After returning from his Antarctic expedition on March 13, 1956, Byrd remarked: “The present expedition has opened up a vast new land.” The word “land” is very significant. He could not have referred to any part of the Antarctic continent, since none of it consists of “land” and all of it of ice, and, besides, its geography is fairly well known and Byrd did not make any noteworthy contribution to Antarctic geography, as other explorers did, who left their names as memorials in the geography of this area. If Byrd discovered a vast new area in the Antarctic, he would claim it for the United States Government and it would be named after him, just as would be the case if his 1,700 mile flight beyond the North Pole was over the earth’s surface between the Pole and Siberia. But we find no such achievements to the credit of the great explorer, nor did he leave his name in Arctic and Antarctic geography to the extent that his statements about discovering a new vast land area would indicate. If his Antarctic expedition opened up a new immense region of ice on the frozen continent of Antarctica, it would not be appropriate to use the word “land,” which means an iceless region similar to that over which Byrd flew for 1,700 miles beyond the North Pole, which had green vegetation, forests and animal life. We may therefore conclude that his 1956 expedition for 2,300 miles beyond the South Pole was over similar iceless territory not recorded on any map, and not over any part of the Antarctic continent. The next year, in 1957, before his death, Byrd called this land beyond the South Pole (not “ice” on the other side of the South Pole) “that enchanted continent in the sky, land of everlasting mystery.” He could not have used this statement if he referred to the part of the icy continent of Antarctica that lies on the other side of the South Pole. The words “everlasting mystery” obviously refer to something else. They refer to the warmer territory not shown on any map that lies inside the South Polar Opening leading to the hollow interior of the Earth. The expression “that enchanted continent in the sky” obviously refers to a land area, and not ice, mirrored in the sky which acts as a mirror, a strange phenomenon observed by many polar explorers, who speak of “the island in the sky” or “water sky,” depending or whether the sky of polar regions reflects land or water. If Byrd saw the reflection of water or ice he would not use the word “continent,” nor call it an “enchanted” continent. It was “enchanted” because, according to accepted geographical conceptions, this continent which Byrd saw reflected in the sky (where water globules act as a mirror for the surface below) could not exist. “How well known Is the Earth? Is there any area on Earth that can be regarded as a possible origin of the flying saucers? There are two. The two major areas of importance are the Antarctic and the Arctic. “Admiral Byrd’s two flights over both Poles prove that there is a `strangeness’ about the shape of the Earth in both polar areas. Byrd flew to the North Pole, but did not stop there and turn back, but went for 1, 700 miles beyond it, and then retraced his course to his Arctic base (due to his gasoline supply running low). As progress was made beyond the Pole point, iceless land and lakes, mountains covered with trees, and even a monstrous animal, resembling the mammoth of antiquity, was seen moving through the underbrush; and all this was reported via radio by the plane occupants. For almost all of the 1,700 miles, the plane flew over land, mountains, trees, lakes and rivers. “What was this unknown land? Did Byrd, in traveling due north, enter into the hollow interior of the Earth through the north polar opening? Later Byrd’s expedition went to the South Pole and after passing it, went 2,300 miles beyond it. “Once again we have penetrated an unknown and mysterious land which does not appear on today’s maps. And once again we find no announcement beyond the initial announcement of the achievement (due to official suppression of news about it – author). And, strangest of all, we find the world’s millions absorbing the announcements and registering a complete blank in so far as curiosity is concerned. “Here, then, are the facts. At both poles exist unknown and vast land areas, not in the least uninhabitable, extending distances which can only be called tremendous because they encompass an area bigger than any known continental area! The North Pole Mystery Land seen Byrd and his crew is at least l,700 miles across its traversed direction, and cannot be conceived to be merely a narrow strip. It is an area perhaps as large as the entire United States! “In the case of the South Pole, the land traversed beyond the Pole included an area as big as North America plus the south polar continent. If Rear Admiral Byrd claimed that his south polar expedition was “the most important expedition in the history of the world,” and if, after he returned from the expedition, he remarked, “The present expedition has opened up a new vast land,” it would be strange and inexplicable how such a great discovery of a new land area as large as North America, comparable to Columbus’s discovery of America, should have received no attention and have been almost totally forgotten, so that nobody knew about it, from the most ignorant to the most learned. The only rational explanation of this mystery is after the brief announcement in the American press based on Admiral Byrd’s radio report, further publicity was suppressed by the Government, in whose employ Byrd was working, and which had important political reasons why Admiral Byrd’s historic discovery should not be made known to the world. For he had discovered two unknown land areas measuring a total of 4,000 miles across and probably as large as both the North and South American continents, since Byrd’s planes turned back without reaching the end of this territory not recorded on any map. Evidently, the United States Government feared that some other government may learn about Byrd’s discovery and conduct similar flights, going much further into it than Byrd did, and perhaps claiming this land area as its own. “In February of 1947, Admiral Richard E. Byrd, the one man who has done the most to make the North Pole a known area, made the following statement: `I’d like to see the land beyond the Pole. 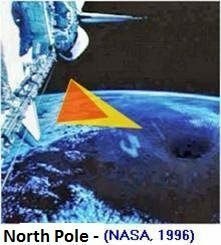 That area beyond the Pole is the center of the Great Unknown’. “Millions of people read this statement in their daily newspapers. And millions thrilled at the Admiral’s subsequent flight to the Pole and to a point 1,700 miles beyond it. Millions heard the radio broadcast description of the flight, which was also published in newspapers. “What land was it? Look at your map. Calculate the distance from all the known lands we have previously mentioned (Siberia, Spitzbergen, Alaska, Canada, Finland, Norway, Greenland and Iceland). A good portion of them are well within the 1,700 mile range. But none of them are within 200 miles of the Pole. Byrd flew over no known land. He himself called it `the great unknown.’ And great it is indeed. For after l,700 miles over land, he was forced by gasoline supply shortage to return, and he had not yet reached the end of it; He should have been back to `civilization.’ But he was not. He should have seen nothing but ice-covered ocean, or at the very most, partially open ocean. Instead he was over mountains covered with forest. “Incredible! The northernmost limit of the timber-line is located well down into Alaska, Canada and Siberia. North of that line, no tree grows! All around the North Pole, the tree does not grow within 1,700 miles of the Pole. “What have we here? We have the well-authenticated flight of Admiral Richard E. Byrd to a land beyond the Pole that he so much wanted to see, because it was the center of the great unknown, the center of mystery. Apparently, he had his wish gratified to the fullest, yet today, nowhere is this mysterious land mentioned. Why? Was that 1947 flight fiction? Did all the newspapers lie? Did the radio from Byrd’s plane lie ? “No, Admiral Byrd did fly beyond the Pole. “What did the Admiral mean when he used that word? How is it possible to go `beyond’ the Pole? Let us consider for a moment. Let us imagine that we are transported by some miraculous means to the exact point of the North Magnetic Pole. We arrive there instantaneously, not knowing from which direction we came. And all we know is that we are to proceed from the Pole to Spitzbergen. But where is Spitzbergen? Which way do we go? South of course: But which South? All directions from the North Pole are south! “This is actually a simple navigational problem. All expeditions to the Pole, whether flown, or by submarine, or on foot, have been faced with this problem. Either they must retrace their steps, or discover which southerly direction is the correct one to their destination, wherever it has been determined to be. The problem is solved by making a turn in any direction, and proceeding approximately 20 miles. Then we stop, measure the stars, correlate with our compass reading (which no longer points straight down, but toward the North Magnetic Pole), and plot our course on the map. Then it is a simple matter to proceed to Spitzbergen by going south. “Admiral Byrd did not follow this traditional navigational procedure. When he reached the Pole, he continued for 1, 700 miles. To all intents and purposes, he continued on a northerly course, after crossing the Pole. And weirdly, it stands on record that he succeeded, or he would not see that `land beyond the Pole,’ which to this day, if we are to scan the records of newspapers, books. radio, television and word of mouth, has never been revisited. “That land, on today’s maps, cannot exist. But since it does, we can only conclude that today’s maps are incorrect, incomplete and do not represent a true picture of the Northern Hemisphere. Such an important discovery, which Byrd called “the most important” in the history of the world, should have been known to everyone, if information about it was not suppressed to such an extent that it was almost completely forgotten until Giannini mentioned it in his book “Worlds Beyond the Poles,” published in New York in 1959. Similarly, Giannini’s book, for some strange reason, was not advertised by the publisher and remained unknown. At the end of the same year, 1959, Ray Palmer, editor of “Flying Saucers” magazine, gave publicity to Admiral Byrd’s discovery, about which he learned in a copy of Giannini’s book he read. He was so much impressed that in December of that year he published this information in his magazine, which was for sale on newsstands throughout the United States. Then followed a series of strange incidents, indicating that secret forces were at work to prevent the information contained in the December issue of “Flying Saucers” magazine, derived from Giannini’s book, from reaching the public. Who are these secret forces that have a special reason to suppress the release of information about Admiral Byrd’s great discovery of new land areas not on any map. Obviously, they are the same forces that suppressed news release of information, except for a brief press notice, after Byrd made his great discovery and before Giannini published the first public statement about it in many years, in 1959, twelve years after the discovery was made. Palmer’s announcement of Byrd’s discoveries in the Arctic and Antarctic was the first large scale publicity since the time they were made and briefly announced, and so much more significant than Giannini’s quotations and statements in his book that was not properly advertised and enjoyed a limited sale. For this reason, soon after the December, 1959 issue of “Flying Saucers” was ready to mail to subscribers and placed on newsstands, it was mysteriously removed from circulation – evidently by the same secret forces that suppressed the public release of this information since 1947. When the truck arrived to deliver the magazines from the printer to the publisher, no magazines were found in the truck! A phone call by the publisher (Mr. Palmer) to the printer resulted in his not finding any shipping receipt proving shipment to have been made. The magazines having been paid for, the publisher asked that the printer return the plates to the press and run off the copies due. But, strangely, the plates were not available, and were so badly damaged that no re-printing could be made. But where were the thousands of magazines that had been printed and mysteriously disappeared? Why was there no shipping receipt? If it was lost and the magazines were sent to the wrong address, they would turn up somewhere. But they did not. As a result, 5000 subscribers did not get the magazine. One distributor who received 750 copies to sell on his newsstand was reported missing, and 750 magazines disappeared with him. These magazines were sent to him with the request that they be returned if not delivered. They did not come back. Since the magazine disappeared completely, several months later it was republished and sent to subscribers. “Since December 12, 1929, U.S. Navy polar expeditions have determined the existence of indeterminable land extent beyond the Pole points. “On January 13, 1956, as this book was being prepared, a U.S. air unit penetrated to the extent of 2,300 miles beyond the assumed South Pole end of the earth. That flight was always over land and water and ice. For very substantial reasons, the memorable flight received negligible press notice. 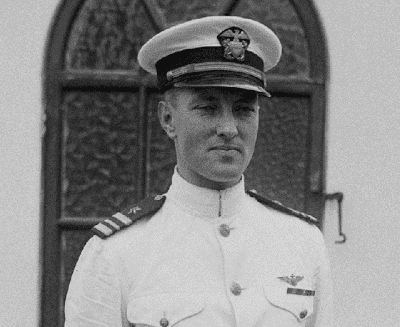 – Rear Admiral Richard E. Byrd, United States Navy, before his seven-hour flight over land beyond the North Pole. – Radio announcement, confirmed by press of February 5. – Admiral Byrd, after returning from the Land beyond the South Pole. “There is no physical end of the Earth’s northern and southern extremities. The Earth cannot be circumnavigated north and south within the meaning of the word, `circumnavigate.’ However, certain `round the world’ flights have contributed to the popular misconception that the Earth has been circumnavigated north and south. “`Over the North Pole,’ with return to the North Temperate Zone areas, without turning around, can never be accomplished because there is no northern end of the Earth. The same conditions hold true for the South Pole. “Many of the readers stated that commercial flights continually cross the Pole and fly to the opposite side of the Earth. This is not true, and though the Airline officials themselves, when asked, might say that they do, it is not literally true. They do make navigational maneuvers which automatically eliminate a flight beyond the Pole in a straight line, in every sense. Ask the pilots of these polar flights. And when they come to the exact point, name one trans-polar flight on which you can buy a ticket which actually crosses the North Pole. Palmer suggests that such an expedition that travels directly north and continues north after reaching the North Pole point (which he believes is in the center of the polar concavity and not on solid land at all) should be organized, retracing Admiral Byrd’s route and continuing onward in the same direction, until the hollow interior of the earth is reached. This, apparently, was never done, in spite of the fact that the United States Navy, in its archives, has a record of Admiral Byrd’s flights and discoveries. Perhaps the reason for this is that the new geographical conception of the Earth’s formation in the polar regions, which is necessary to accept before the true significance of Admiral Byrd’s findings can be appreciated, was not held by Navy chiefs, who, as a result, put the matter aside and forgot about it. The above statement by Palmer that commercial airlines do not pass over the North Pole seems reasonable in the light of new Soviet discoveries in relation to the North Magnetic Pole, which was found not to be a point but a long line, which we believe is a circular line, constituting the rim of the polar concavity, so that any point on this circle could be called the North Magnetic Pole, because here the needle of the compass dips directly downward. If this is the case, then it would be impossible for airplanes to cross the North Pole, which is in the center of the polar depression and not on the Earth’s surface, as according to the theory of a solid Earth and convex formation on the Pole. When airplanes believe they reached the North Pole, according to compass readings, they really reach the rim of the polar concavity, where is the true North Magnetic Pole. “The strange book written by Giannini has offered the one possibility by which it can definitely be proved that the Earth is shaped strangely at the North Pole, as we believe it to be at the South Pole, not necessarily with a hole all the way through, but like a doughnut which has swelled so much in cooking that the hole is only a deep depression at each end, or like a gigantic auto tire mounted on a solid hub with recessed hub caps. “No human being has ever flown directly over the North Pole and continued straight on. Your editor thinks it should be done and done immediately. We have the planes to do it. Your editor wants to know for sure whether such a flight would wind up in any of the countries surrounding the North Pole, necessarily exactly opposite the starting point. Navigation is not to be made by the compass or by triangulation on existing maps, but solely by gyro compass on an undeviated straight course from the moment of take-off to the moment of landing. And not only a gyro compass in a horizontal plane, but one in a vertical plane also (after one enters the polar opening). There must be a positive forward motion which cannot be disputed. “The author was extended courtesy by the New York office of U.S. Naval Research, to transmit a radio message of godspeed to Rear Admiral Richard Evelyn Byrd, U.S.N., at his Arctic base in February, 1947. “At that time the late Rear Admiral Byrd announced through the press, `I’d like to see the land beyond the Pole. That land beyond the Pole is the center of the great unknown.’ Subsequently, Admiral Byrd and a naval task force executed a seven hour flight of 1,700 miles over land extending beyond the theorized North Pole `end’ of the Earth. “In January, 1947, prior to the flight, this author was enabled to sell a series of newspaper features to an international feature syndicate only because of this author’s assurance to the syndicate director that Byrd would in fact go beyond the imaginary North Pole point. “As a result of the author’s prior knowledge of the then commonly unknown land extending beyond the pole points, and after the syndicated features had been released to the press, the author was investigated by the office of the U. S. Naval Intelligence. That Intelligence investigation was due to the fact of Byrd’s definite confirmation of the author’s revolutionary theories. “There was a strange valley below them. For some strange reason the valley Byrd saw was not ice-covered, as it should have been. It was green and luxuriant. There were mountains with thick forests of trees on them, and there was lush grass and underbrush. Most amazingly, a huge animal was observed moving through the underbrush. In a land of ice, snow and almost perpetual `deep freeze,’ this was a stupendous mystery. “When Admiral Byrd went into this unknown country, into `the center of the great unknown,’ where was he? In the light of the theory of Marshall Gardner, he was at the very doorway that leads to the earth’s interior and which lies beyond the Pole. “Both Alaska and Canada have had much more of their share of sightings of flying saucers in recent months. Why? Is there some connection with the `land beyond the Pole’ – that unknown territory inside the earth? The above observations of a concentration of flying saucers in the Arctic region corresponds to similar observations by Jarrold and Bender of a concentration in the Antarctic, where they are believed by flying saucer experts to have a landing base, from where they are seen to ascend and return. However, according to the theory of this book, what really occurs, in the Antarctic as in the Arctic, is that the flying saucers emerge from and reenter the polar opening leading to the hollow interior of the Earth, their true place of origin. Aime Michel, in his `straight line’ theory, proved that most of the flight patterns of the flying saucers are in a north-south direction, which is exactly what would be true if their origin was polar, coming from either the north or south polar opening. In February 1947, about the time when Admiral Byrd made his great discovery of land beyond the North Pole, another remarkable discovery was made in the continent of Antarctica, the discovery of “Bunger’s Oasis.” This discovery was made by Lt. Commander David Bunger who was at the controls of one of six large transport planes used by Admiral Byrd for the U. S. Navy’s `Operation Highjump’ (1946-1947). Bunger was flying inland from the Shackleton Ice Shelf near Queen Mary Coast of Wilkes Land. He and his crew were about four miles from the coastline where open water lies. The land Bunger discovered was ice-free. The lakes were of many different colors, ranging from rusty red, green to deep blue. Each of the lakes was more than three miles long. The water was warmer than the ocean, as Bunger found by landing his seaplane on one of the lakes. Each lake had a gently sloping beach. Around the four edges of the oasis, which was roughly square in shape, Bunger saw endless and eternal white snow and ice. Two sides of the oasis rose nearly a hundred feet high, and consisted of great ice walls. The other two sides had a more gradual and gentle slope. The existence of such an oasis in the far Antarctic, a land of perpetual ice, would indicate warmer conditions there, which would exist if the oasis was in the south polar opening, leading to the warmer interior of the earth, as was the case with the warmer territory, with land and lakes, that Admiral Byrd discovered beyond the North Pole, which was probably within the north polar opening. Otherwise one cannot explain the existence of such an oasis of unfrozen territory in the midst of the continent of Antarctica with ice miles thick. The oasis could not result from volcanic activity below the Earth’s surface, for, since the land area of the oasis covered three hundred square miles, it was too big to be affected by volcanic heat supply. Warm wind currents from the Earth’s interior are a better explanation. Thus Byrd in the Arctic and Bunger in the Antarctic both made similar discoveries of warmer land areas beyond the Poles at about the same time, early in 1947. But they were not the only ones to make such a discovery. Some time ago a newspaper in Toronto, Canada, “The Globe and Mail,” published a photo of a green valley taken by an aviator in the Arctic region. Evidently the aviator took the picture from the air and did not attempt to land. It was a beautiful valley and contained rolling green hills. The aviator must have gone beyond the North Pole into the same warmer territory that Admiral Byrd visited, which lies inside the polar opening. This picture was published in 1960. “I lived near the Arctic Circle in Norway. One summer my friend and I made up our minds to take a boat trip together, and go as far as we could into the north country. So we put one month’s food provisions in a small fishing boat, and with sail and also a good engine in our boat, we set to sea. “At the end of one month we had traveled far into the north, beyond the Pole and into a strange new country. We were much astonished at the weather there. Warm, and at times at night it was almost too warm to sleep. (Arctic explorers who penetrated into the far north have made similar reports of warm weather, at times warm enough to make them shed their heavy clothing – Author). Then we saw something so strange that we both were astonished. Ahead of the warm open sea we were on what looked like a great mountain. Into that mountain at a certain point the ocean seemed to be emptying. Mystified, we continued in that direction and found ourselves sailing into a vast canyon leading into the interior of the Earth. We kept sailing and then we saw what surprised us – a sun shining inside the earth! “The ocean that had carried us into the hollow interior of the Earth gradually became a river. This river led, as we came to realize later, all through the inner surface of the world from one end to the other. It can take you, if you follow it long enough, from the North Pole clear through to the South Pole. “We saw that the inner surface of the earth was divided, as the other one is, into both land and water. There is plenty of sunshine and both animal and vegetable life abounds there. We sailed further and further into this fantastic country, fantastic because everything was huge in size as compared with things on the outside. Plants are big, trees gigantic and finally we came to GIANTS. “They were dwelling in homes and towns, just as we do on the Earth’s surface. And they used a type of electrical conveyance like a mono-rail car, to transport people. It ran along the river’s edge from town to town. “Several of the inner earth inhabitants – huge giants – detected our boat on the river, and were quite amazed. They were, however, quite friendly. We were invited to dine with them in their homes, and so my companion and I separated, he going with one giant to that giant’s home and I going with another giant to his home. “My gigantic friend brought me home to his family, and I was completely dismayed to see the huge size of all the objects in his home. The dinner table was colossal. A plate was put before me and filled with a portion of food so big it would have fed me abundantly an entire week. The giant offered me a cluster of grapes and each grape was as big as one of our peaches. I tasted one and found it far sweeter than any I had ever tasted `outside.’ In the interior of the Earth all the fruits and vegetables taste far better and more flavorsome than those we have on the outer surface of the Earth. These giants were evidently members of the antediluvian race of Atlanteans who established residence in the Earth’s interior prior to the historic deluge that submerged their Atlantic continent. A similar experience of a visit to the hollow interior of the earth, through the polar opening, and entirely independently, was made by another Norwegian named Olaf Jansen and recorded in the book, “The Smoky God,” written by Willis George Emerson, an American writer. The book is based on a report made by Jansen to Mr. Emerson before his death, describing his real experience of visiting the interior of the earth and its inhabitants. The title, “The Smoky God,” refers to the central sun in the hollow interior of the Earth, which, being smaller and less brilliant than our sun, appears as “smoky.” The book relates the true experience of a Norse father and son, who, with their small fishing boat and unbounded courage, attempted to find “the land beyond the north wind,” as they had heard of its warmth and beauty. An extraordinary windstorm carried them most of the distance, through the polar opening into the hollow interior of the Earth. They spent two years there and returned through the south polar opening. The father lost his life when an iceberg broke in two and destroyed the boat. The son was rescued and subsequently spent 24 years in prison for insanity, as a result of telling the story of his experience to incredulous people. When he was finally released, he told the story to no one. After 26 years as a fisherman, he saved enough money to come to the United States and settled in Illinois, and later in California. In his nineties, by accident, the novelist Willis George Emerson befriended him and was told the story. On the old man’s death he relinquished the maps that he had made of the interior of the Earth, and the manuscript describing his experiences. 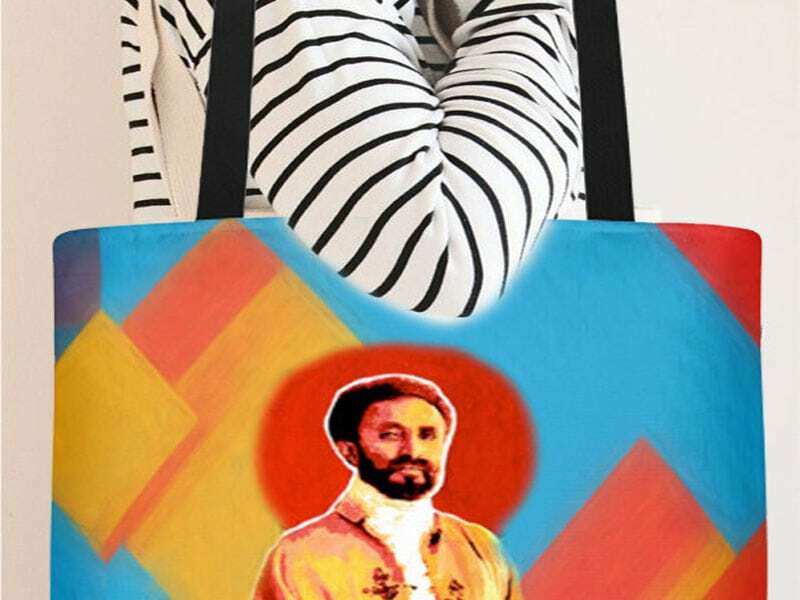 He refused to show it to anyone while he was alive, due to his past experience of people disbelieving him and considering him insane if he mentioned the subject. The book, “The Smoky God,” describing Olaf Jansen’s unusual trip to the hollow interior of the Earth, was published in 1908. It tells about the people who dwell inside the Earth, whom he and his father met during their visit and whose language he learned. He said that they live from 400 to 800 years and are highly advanced in science. They can transmit their thoughts from one to another by certain types of radiations and have sources of power greater than our electricity. They are the creators of the flying saucers, which are operated by this superior power, drawn from the electromagnetism of the atmosphere. They are twelve or more feet in stature. It is remarkable how this report of a visit to the Earth’s interior corresponds with the other described above, yet both were entirely independent of each other. Also the gigantic size of the human beings dwelling in the Earth’s interior corresponds to the great size of its animal life, as observed by Admiral Byrd, who, during his 1,700 mile flight beyond the North Pole, observed a strange animal resembling the ancient mammoth. We shall present later in this book the theory of Marshall Gardner that the mammoths found enclosed in ice, rather than being prehistoric animals, are really huge animals from the Earth’s interior who were carried to the surface by rivers and frozen in the ice that was formed by the water that carried them.